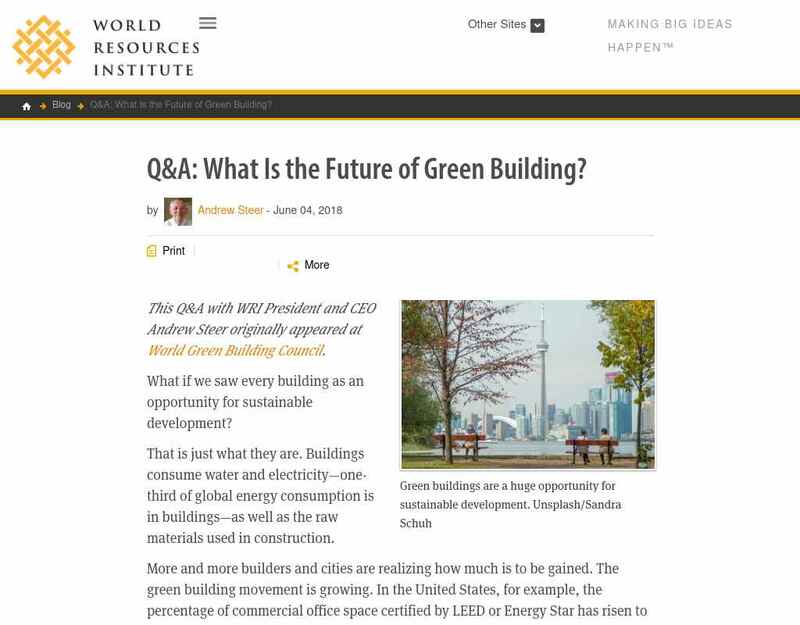 "..This Q&A with WRI President and CEO Andrew Steer originally appeared at World Green Building Council. What if we saw every building as an opportunity for sustainable development? That is just what they are. Buildings consume water and electricity--one ..."